Feeling fabulous and beautiful on your big day is a must- let us help you create your fairytale. Feel free to browse our portfolio and previous work below for inspiration. Contact us for wedding hair and makeup pricing! 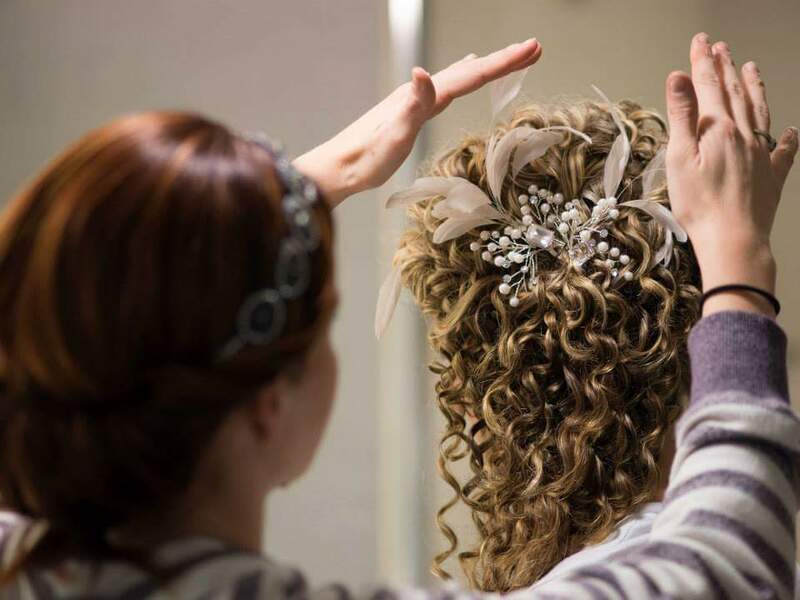 Professional wedding hair and styling takes a burden off of you on your big day. We work with you to create a style that compliments your whole look and create an appearence you will love. Wedding makeup is the finishing touch for a bride so that she can look magnificent for the ceremony and reception. Working with your natural complexion, we find a color palate that brings together your features into a stunning final look.